So many options with this charming vintage Irvington home: Use the entire space as your FIVE (!) BR home, or if you're hankering to to try AirBnB-ing, possibly get a steady tenant, or just a place for inlaws or adult kids — there's a 2 BR, kitchen, full bath and separate entrance for upstairs! 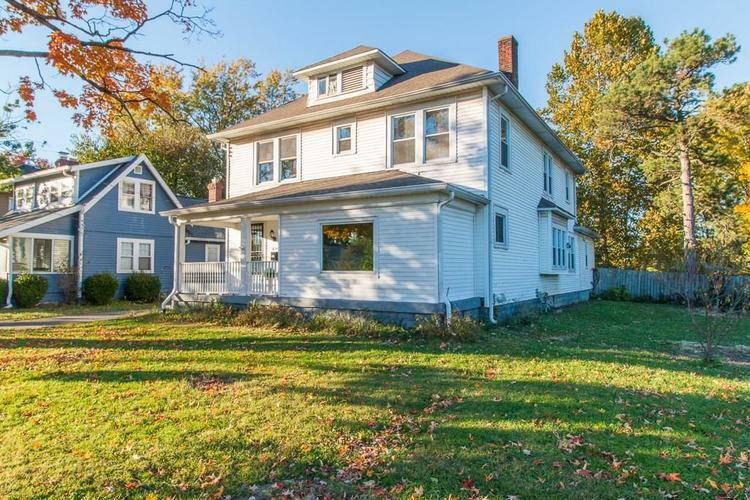 We're digging all the original features: pocket doors, sweet window seat, built-ins and original woodwork. A roomy bonus room makes a fab master BR, with ensuite and sliding doors to a private deck. All this plus a two car garage and fenced backyard! Some updates are done in this home with room for more, just ready for your finishing touches! Priced accordingly. Directions:East 10th Street to Arlington Ave. South to Lowell Ave. East to the home.